As an anthropologist of Korea, Dr. Kendall has been working with and writing about Korean shamans for nearly thirty years. Having attended their performances in the early 1970s as a Peace Corps Volunteer in Korea, she became interested in the relationship between this largely female tradition and the operation of gender in Korean popular religion. 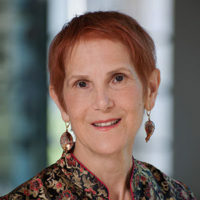 In 1989, Dr. Kendall collaborated with documentary filmmaker Diana Lee in filming the story of a shaman’s initiation, a visual complement to her books. More recently, Prof Kendall has been examining how changes in the shamans’ world keep pace with the social and economic transformation of South Korean society. This project includes questions of space and landscape, performance, ritual consumption, national identity, and market anxieties. She is also working with colleagues in Hanoi, Vietnam, studyingl “the sacred life of material goods.” Following the work of Alfred Gell, they are exploring the relationship between people and objects, relationships that have rules, obligations, potential benefits, and dangers. Working between Korea and Vietnam, Dr. Kendall is cautiously interested in regional comparisons. Vietnamese folklorist Dr. Nguyen Thi Hien and her are exploring points of similarity and contrast between Korean shamans and spirit mediums of Vietnam’s Mother Goddess Religion. The Museum at the End of the World: Travels in the Post-Soviet Russian Far East (University of Pennsylvania, 2005).